To the Sea We Go! This is our last full day of the tour. 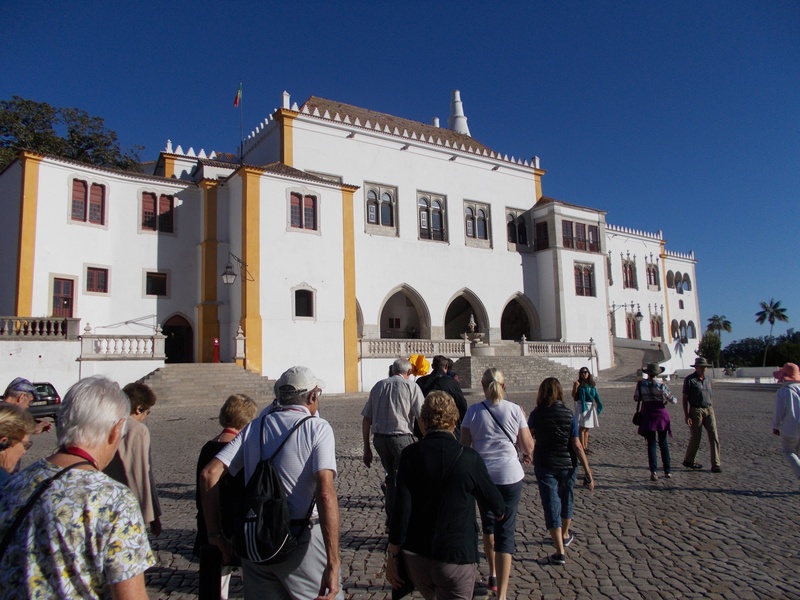 We headed out of Lisbon to see the sea to visit Sintra. 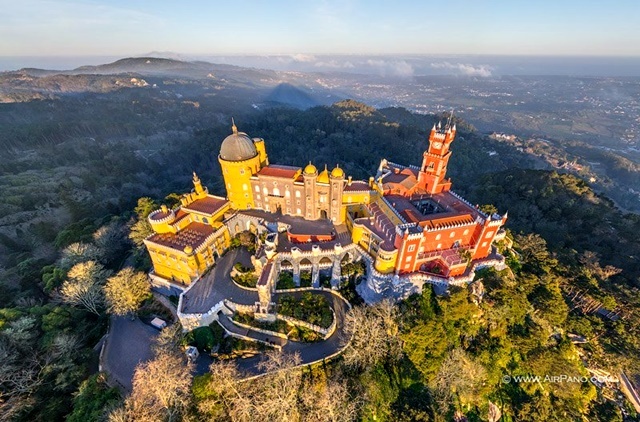 Sintra is a resort town in the foothills of Portugal’s Sintra Mountains. A long time royal sanctuary, its forested terrain is studded with pastel-colored villas and palaces. 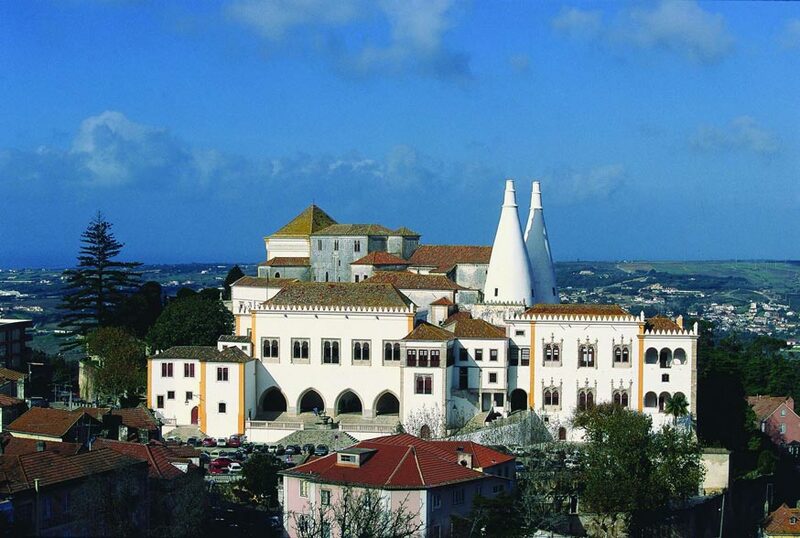 The Moorish- and Manueline-style Sintra National Palace is distinguished by elaborate tile work. Here we are trudging up to the National Palace. 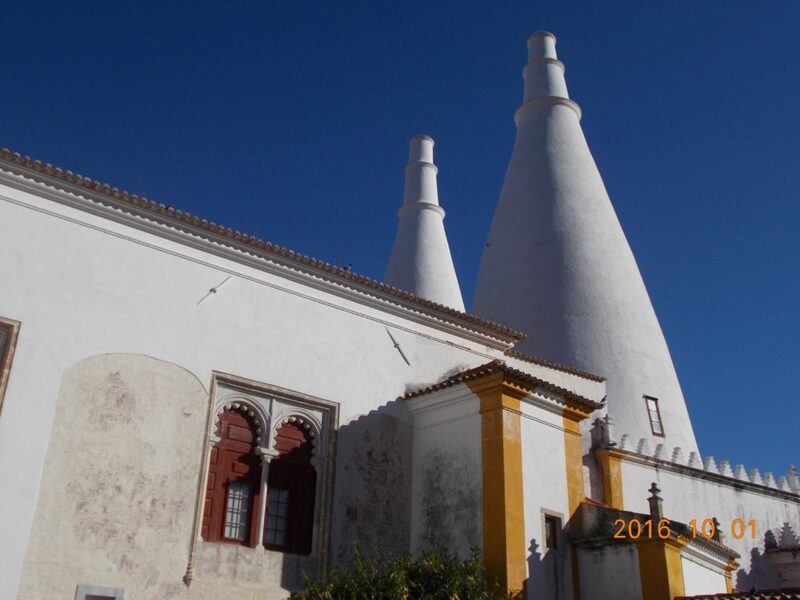 I noticed the pointed structures above the roof. What could they be? All will be revealed soon. 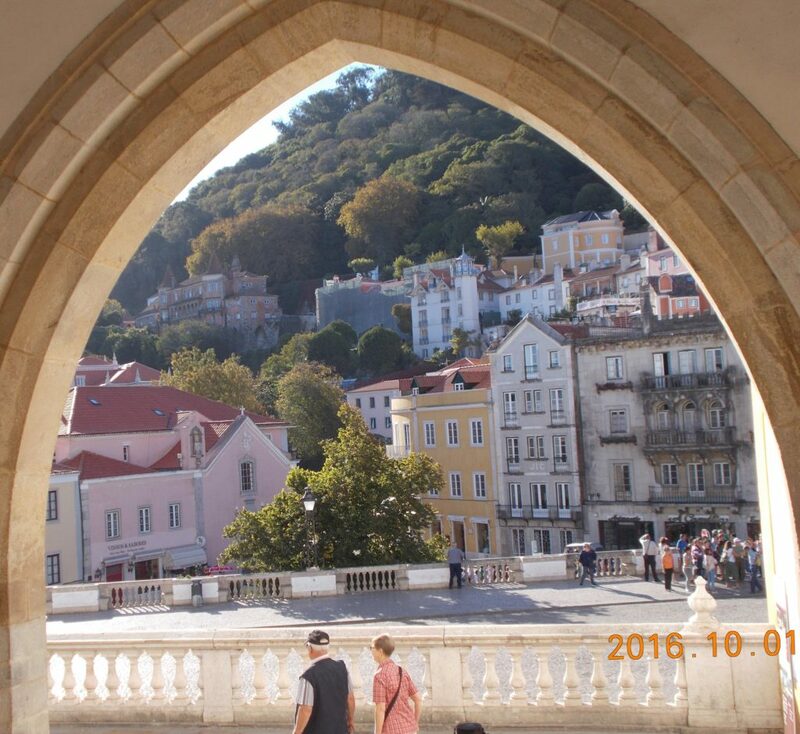 From the arched arcade at the entrance we could see the neatly framed down town of Sintra with another tour group on our heels. 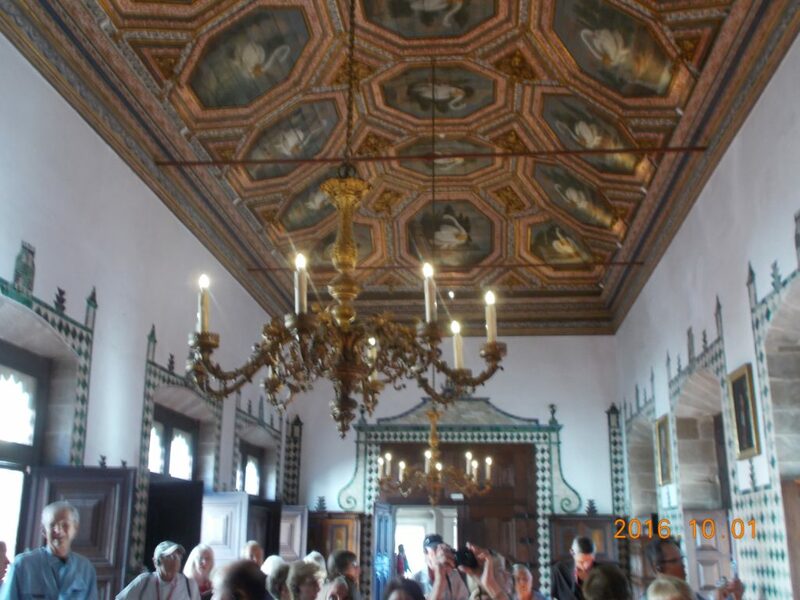 The rooms, both royally large and cozily small, were decorated with beautiful tile work. 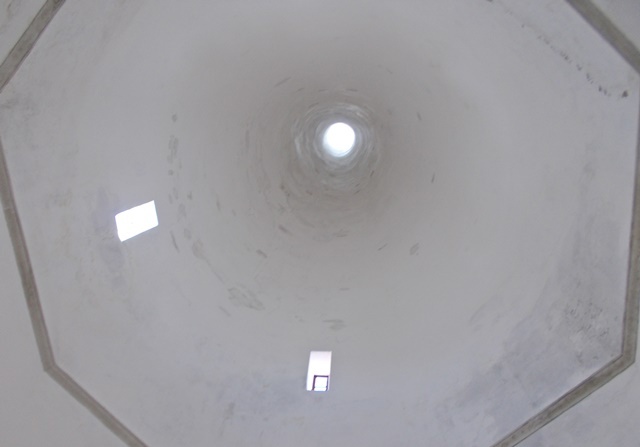 We get closer to the strange looking conical structures. What could they be? From a balcony we could see across the valley many hillside mansions like this one. 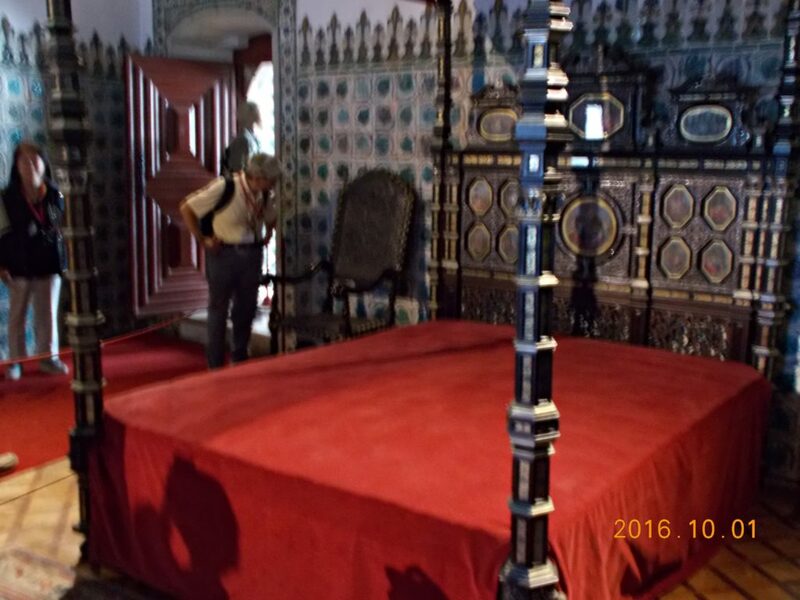 Unfortunately, our itinerary did not include s trip to the Pena Palace high above Sintra. But, guess what? Nothing escapes the eye of the GCT drone. 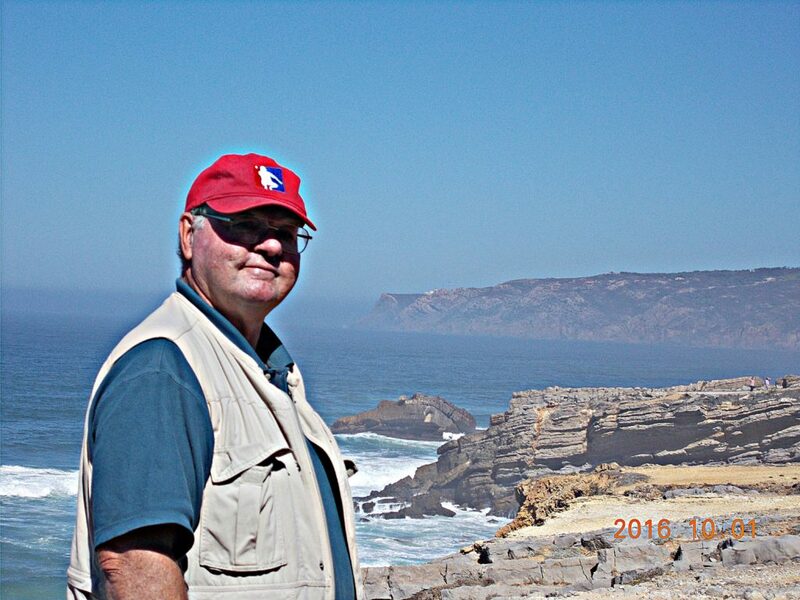 Note the Atlantic Ocean in the distance. 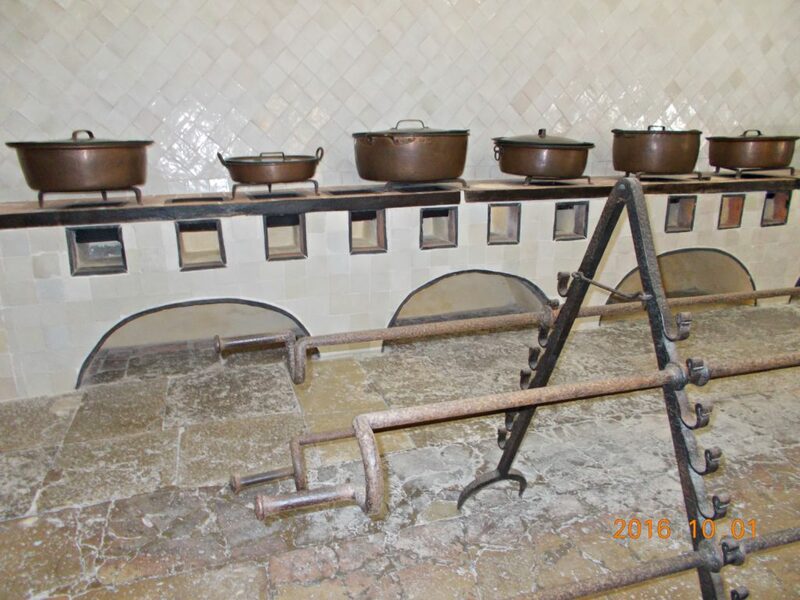 This is the kitchen of the National Palace. I guess they did a lot of entertaining because the kitchen was huge! They would even light a fire in the middle of the room on the floor and roast whole pigs, cows, etc on massive spits. … up the chimneys, of course. Mystery solved. A final look at the palace. Naturally, we had to head to the down town tourist street. 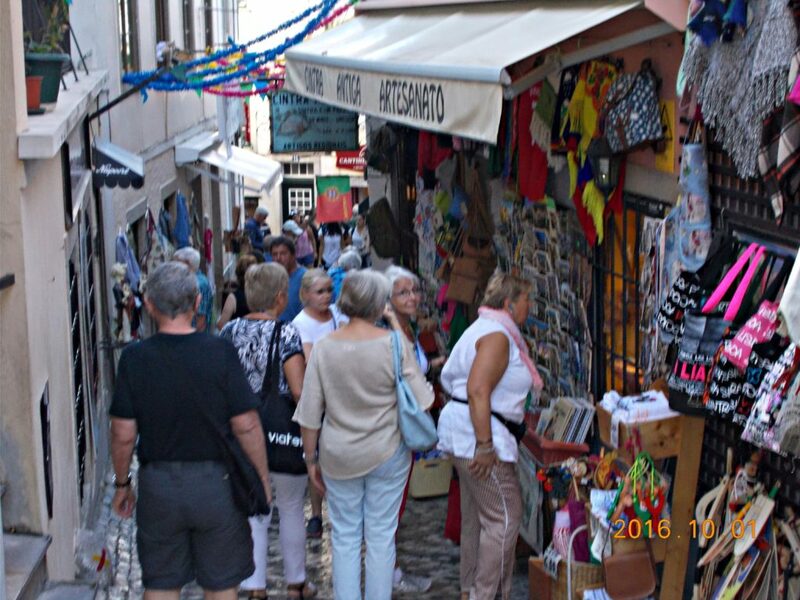 It was a narrow alley, crammed with tourists and souvenir shops. I bought my final refrigerator magnet here. I think I must have bought at least 20 on this trip. What do you think I spent all those Euros that I saved on all those sandwiches I made for lunch? I did make a final church visit. This is Saint Martins Church. It is located right in the city center. It dates to the 12th & 13th centuries. 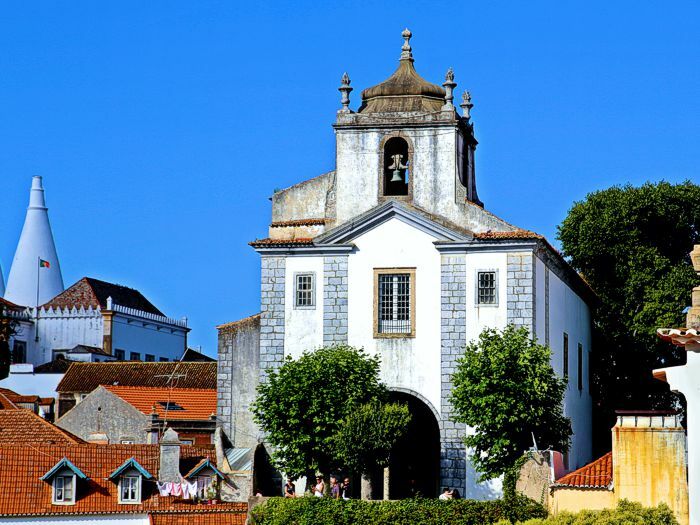 This parish church was destroyed by the 1755 earthquake and rebuilt out of character at the end of the 18th Century. 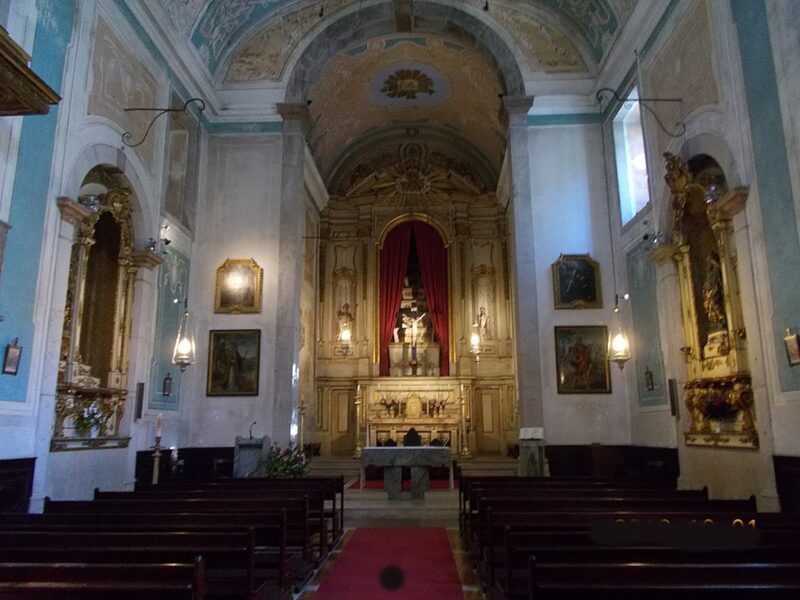 Of the original structure there remain only the Gothic chancel, visible from outside, and three Portuguese paintings on wood from the middle of the 16th Century. Note the National Palace chimney in the background. 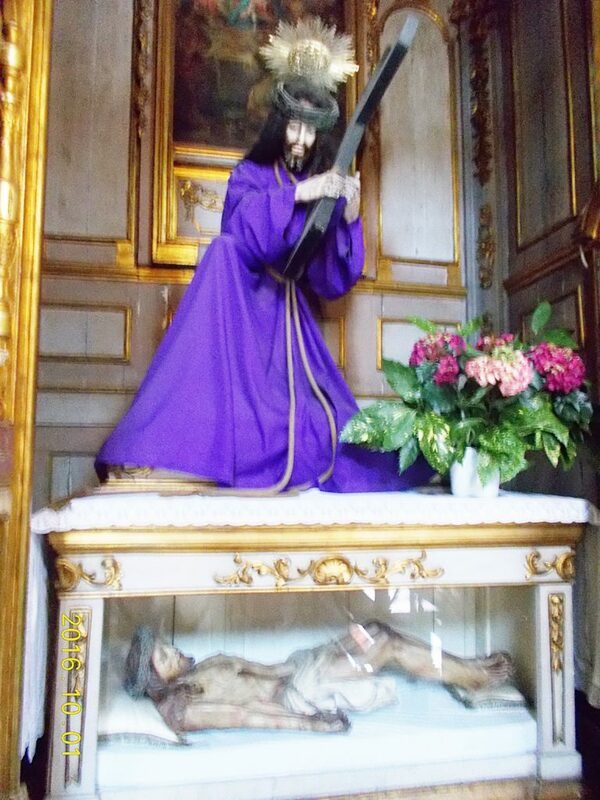 This gruesome thing is in the church vestibule. It’s Jesus dragging the cross above a glass coffin holding his remains. Brrrr. Lord Byron was a key figure in Romanticism. 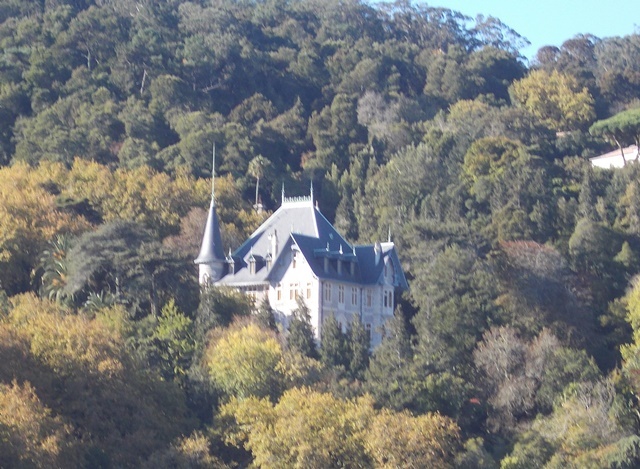 He came to Sintra in 1809 and wrote, “…that the village of Cintra … is the most beautiful perhaps in the world.” Brrrr. This is a foggy view of Cabo da Roca (Cape Roca) is a cape which forms the westernmost extent of mainland Portugal, continental Europe and the Eurasian land mass. It’s about 3120 mile from here to our summer home I left almost 3 weeks ago in Maine. Long swim! 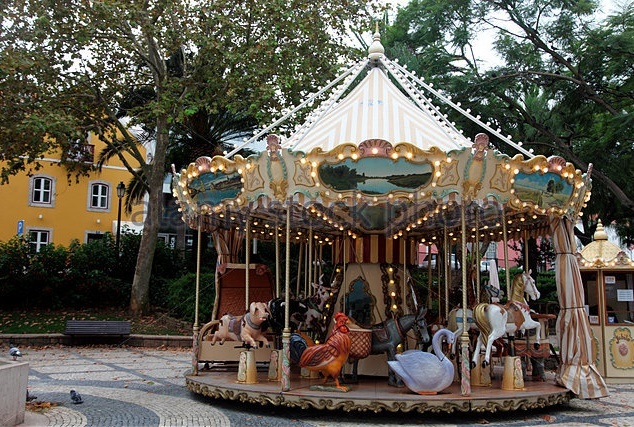 Our last stop was at the town of Cascais. Pronounced Cascaishh. Portuguese esses have an shh sound. The Three Amigos had lunch in this town plus a gelato at a nearby shop. 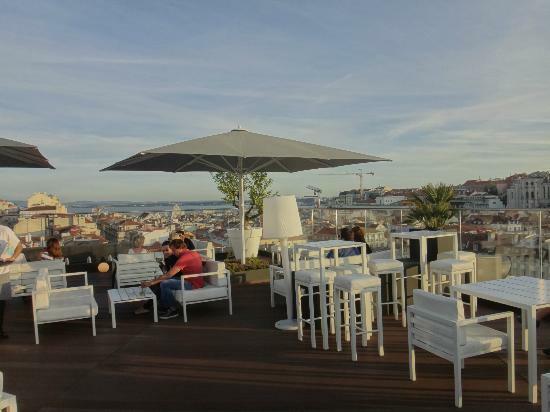 Back at Lisbon, the group gathered for a drink in the hotel lobby and aFarewell Dinner in the upstairs dining room. We all agreed that we had a great tour – thanks to Juanjo and GCT! The next morning we got up early and made our way to the airport for the long trip home.